With Gold, students develop natural English while learning the skills theyll need to really excel in their exam. 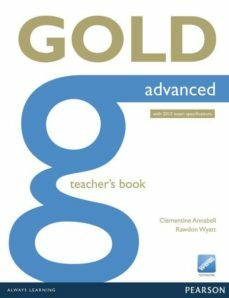 Now fully revised for the 2015 Cambridge English exams, Gold First and Gold Advanced retain all the winning features of this bestselling series, with new material and a faster-paced syllabus. Gold now gives your students even more vocabulary input, help with chunks of language, intrinsically interesting texts and lots of speaking practice. Extensive writing sections provide support for students of all abilities.